World powers pressed Russia on Wednesday to stop bombing around Aleppo in support of a Syrian government offensive to recapture the city and a Western official said Moscow had presented a proposal envisaging a truce in three weeks’ time. Of course, Kerry calls for peace now only because his terrorist proxies are losing and doing so decisively. They are all but surrounded in the largest city in Syria and it is only a matter of time before they cease to exist there as a relevant fighting force. Latakia province is almost entirely liberated. The border with Jordan is virtually sealed. The Turkish border is in the process of being sealed and the Jarablus corridor is slowly being shut. Even Raqqa, the terrorist stronghold, is now being assaulted by the SAA and Russian Air Force. Of course, Kerry is not a gentlemen and the country he represents is much more reminiscent of the imperialist British Empire than the context in which Henry uttered his famous words. Nor is Kerry actually calling for peace. He is calling for the destruction of a people and their way of life and for the annihilation of their secular government in favor of a puppet regime as first choice or an impotent jihadist state as a consolation prize. Peace is only the cover story designed to allow jihadist savages breathing room to regroup and launch yet another assault. It is the Syrian people and their military who are now in the position of being the country the world is watching to see whether or not a small population of proud people are able to resist the onslaught of a powerful conglomerate of nations bent on its destruction. It is Syria that represents a true resistance to imperialism. John Kerry can call for his phony “peace” all he wants but he knows that his terrorists’ days are numbered. Even while his press conferences call for ceasefires, the terrorists are calling for emergency assistance because they also know their time is short. Five years on and the Syrian people, along with their military, have demonstrated that their determination and refusal to submit to foreign demands are as powerful an idea as the desire to impose that foreign will on the part of the Western powers. If Henry is right now as he was then that “the battle is not to the strong alone,” but to “the vigilant, the active, the brave,” we should soon see an acknowledgement from the United States that the invasion of Syria has failed. We should see a geopolitical retreat by NATO and the elimination of the terrorist contingent in Syria. While we are aware that NATO and its allies are not completely out of tricks, we must encourage the Syrian people and the Syrian government to stay strong in this fight because the fate of the world – not just Syria – lies within its borders. 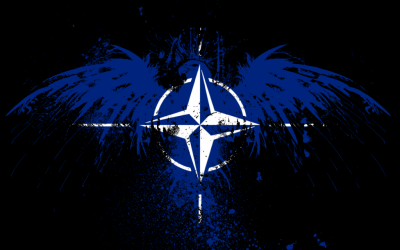 If NATO can destroy Syria, it will move on to Iran and on still to Russia, a war that will involve us all. We wish Syria victory in this fight against imperialism and terrorism. We wish the NATO powers clarity and wisdom to realize the error of their ways before it is too late for us all.